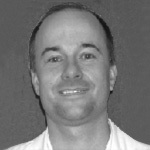 Dr. Treadwell has served as the Chief Clinical Consultant since 2000. His responsibilities include performing individual patient medical reviews as well as various consulting activities related to the application of clinical and utilization criteria and therapeutics for claims analysis. Dr. Treadwell received his Doctor of Pharmacy degree from The University of Florida in 1992 and has been credentialed by the American Academy of HIV Medicine as an HIV Specialist in treating and monitoring HIV patients. Dr. Treadwell has practiced for many years as a clinical specialist and Associate Director of Clinical Pharmacology training pharmacists and physicians in the principles and application of pharmacotherapy in outpatient and inpatient settings. Dr. Treadwell has received numerous honors and awards such as the Upjohn Achievement Award for Excellence in Biopharmaceutics, Facts and Comparisons Award of Excellence in Clinical Communications, and the Perry A. Foote Award for Distinguished Scholarship. In addition, Dr. Treadwell has authored articles in peer reviewed publications such as the American Journal of Managed Care and the American Journal of Cardiology and authored a book on herbal medicine. He lectures extensively in his areas of specialty related to cardiology, HIV infection, antibiotic usage, diabetes, anticoagulation management, and herbal therapy. Academic positions include a faculty appointment as Clinical Assistant Professor at The Florida State University College of Medicine and The University of Florida College of Pharmacy.